harvested by el jimador de Jalisco. mixed with sweat and sun. Teresa Puente is a Professor of Journalism at Columbia College in Chicago. Ms. Puente also encourages Latina women to write and publish their stories in Latina Voices. El Jimador first appeared in Take Two: Another Anthology of English Writing from the Costalegre. 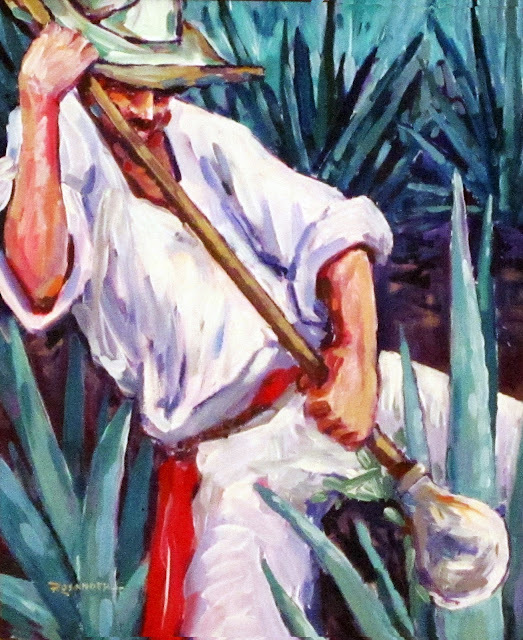 The art accompanying this poem is El Jimador by Russell Rosander.